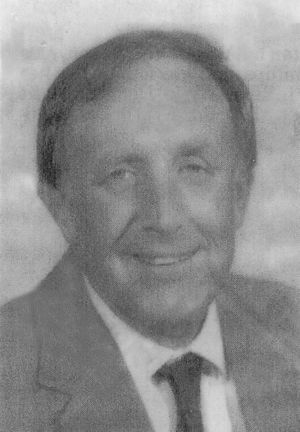 Obituary – Kirtley, Dr. Clane Alan « Perry High School Alumni Association, Inc.
﻿Vice-President Student Council 51-52, Football 4852, Football Co-Captain 51-52, Basketball 48-52, Band Queen Publicity Manager 50-51, Student Council Vice-President 51-52, Class Vice-President 51-52, Home Room President 48-49, Perryscope Staff 51-52, Baseball 50-51, Class Assemblies 48-51, All-District Football 51. Dr. Clane A. Kirtley long-time resident of Tonkawa, died Tuesday, December 14, 1999 at St. Josephs Regional Medical Center. He was 65. Dr. Kirtley was born September 14, 1934 in Perry, OK, the son of Larkin J. Kirtley and Dorothy (Koch) Kirtley. He graduated from Perry High School in 1952. He received an Associate of Business degree from Northern Oklahoma College in 1954. He earned a Bachelor of Science from Southwestern Oklahoma State University and a Master of Science from OSU in 1963. Dr. Kirtley began to work on his doctorate right after completing the Master’s. His area of interest was in student personnel and guidance, he received his Doctor of Education degree from Oklahoma State in 1979. On June 12, 1955 Clane and Ladine Huff were united in marriage in Tipton, OK.
Clane was an outstanding athlete in football and track at Perry, Northern and Southwestern. He taught and coached girls and boys basketball for two years before coming to Tonkawa High School to teach/coach boys and girls basketball and as assistant football coach. 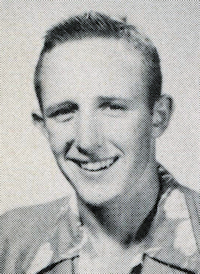 In 1960 he was hired at NOC as a Business Instructor, boys basketball coach and assistant football coach. This was a long-time dream of his to come back to Northern. He and Ladine were dorm parents of a boy’s dorm for four years. He later was Dean of Men, Dean of Students, Business Manager and Counselor. design and build the Lion’s Club Baseball Park, the NOC Golf Course and later managing it. He held various offices in the Lion’s Club. He was a member of the First Christian-Church in Tonkawa where he taught a Young Adult Sunday School Class for many years. He was a Deacon and an Elder and held several offices on the church board. At the time of his death he was Chairman of the Elders and had just started teaching a college Sunday School Class. In recent months he enjoyed taking communion to the shut-ins and the Nursing home. He was President of the Board of Directors for the Alphi II in Tonkawa. He is survived by his wife Ladine of the home; three sons, Kurt, and Mike both of Tonkawa and Gary L. of Enid; one daughter, Kari of Enid; three grandchildren who were the “sunshine” of his life. Drew and Ali Kirtley of Tonkawa, Taylor Zinn also of Tonkawa; one brother, Gary of Enid; one sister Corene Jones and her husband, Glenn of Norman, OK; seven nephews and four nieces; his mother-in-law; two brothers-in-law and one sister-in-law. He was preceded in death by his parents; his father-in-law and one neice.